Very rare cabinet photo of Xenia Alexandrovna by famous Levitsky. The image has no date stamp, but looks to be a circa of 1890's or so. 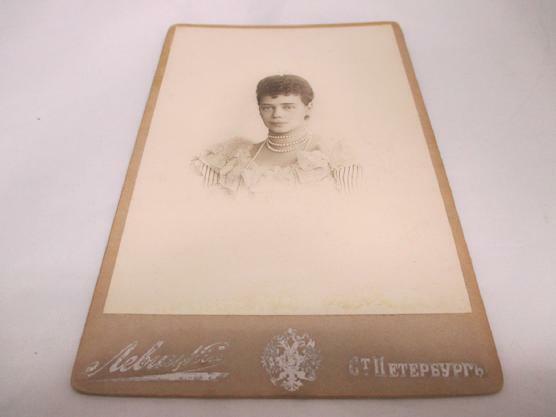 This cabinet photo of Grand Duchess Xenia Alexandrovna. Photo measures approximately 6 1/4" by 4". Condition is good to fair. The card may have light wear, scratching, toning, fading, minor staining, spotting, soft or dinged corners and slight wear,as shown in pics. A nice image, with great display potential. Grand Duchess Xenia Alexandrovna of Russia was the elder daughter of Emperor Alexander III of Russia and Empress Maria Feodorovna of Russia (née Princess Dagmar of Denmark) and the sister of Emperor Nicholas II. She married her second cousin Grand Duke Alexander Mikhailovich of Russia, with whom she had seven children. During her brother's reign she recorded in her diary and letters increasing concern about his rule. 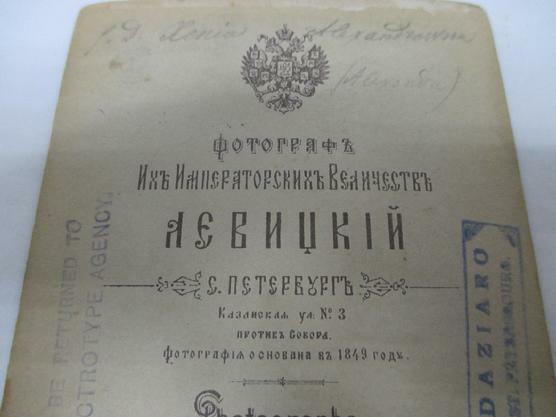 In 1917 Xenia arrived at the family estate in the Crimea, Ai-Todor where she joined her husband and children as well as her mother and sister Olga on 28 March 1917. In 1918, while in Crimea, Xenia learnt that her brother Nicholas II, his wife and his children had been murdered by the Bolsheviks. Her last surviving brother, Michael, was also shot to death in 1918 outside of Perm. While the Red Army was coming closer toward Crimea, Xenia and her mother Dowager Empress Maria escaped from Russia on 11 April 1919 with the help of Queen Alexandra of the United Kingdom (née Princess Alexandra of Denmark), Dowager Empress Maria’s sister. King George V of the United Kingdom sent the British warship HMS Marlborough which brought them and other Romanovs from the Crimea over the Black Sea to Malta and then to England. Xenia and her mother were later joined by Xenia's sister Olga. Xenia remained in Great Britain, while Dowager Empress Maria, after a stay in England, went with Olga to Denmark. On 17 May 1920, Xenia had been granted Letters of Administration as eldest sister and heir to her brother Nicholas's estate in England worth five hundred British pounds sterling. Her husband Sandro was living at this time in Paris. By 1925, Xenia's financial situation had become desperate. King George V, who was her first cousin, allowed her to settle in Frogmore Cottage, a grace and favour house, in Windsor Great Park for which she was grateful to her cousin. Later she had to deal with the fraudulent claims of Anna Anderson to be her niece, the murdered Grand Duchess Anastasia Nikolaevna of Russia. 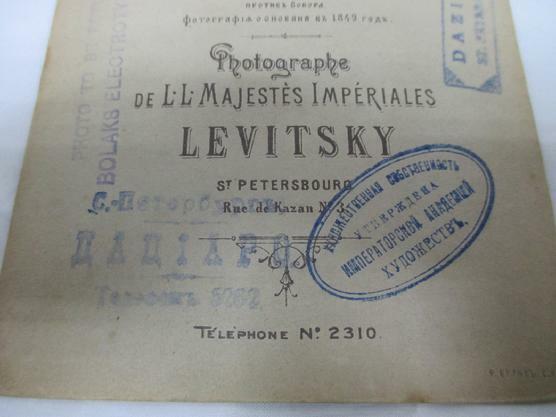 Her sister Olga had pointed out if there had been any Romanov monies left, the Dowager Empress would not be receiving a pension from the British King. 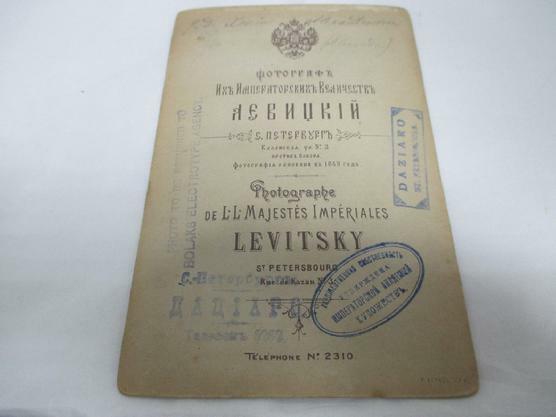 In July 1928, ten years after the death of Nicholas and Alexandra, his family were now legally presumed dead. Xenia and her family had hoped to take possession of the Langinkoski estate in Kotka, Finland, but this however came to nothing. Xenia visited her mother, the Dowager Empress, in Denmark as often as she could. Her mother was living in the Hvidøre Villa that she and her sister Alexandra had bought on the Danish coast north of Copenhagen. In 1928, Xenia's mother fell seriously ill and died on 13 October. After the death of her mother, the sale of the Hvidøre estate and the jewels of the Dowager Empress brought in some income. 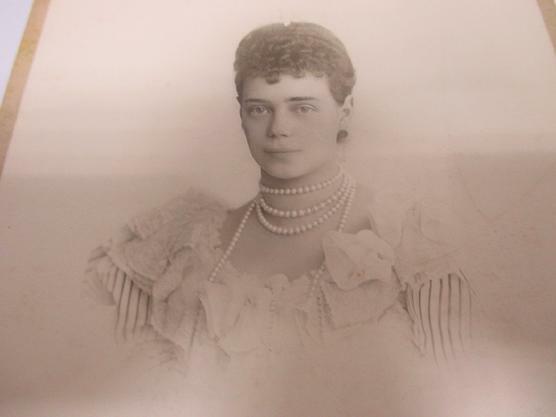 No sooner had the Dowager Empress died, Xenia received a letter from Gleb Botkin, son of her late brother's doctor, claiming that she was trying to steal from her niece, Anastasia. Her husband declared in a letter to her his disdain for the "vileness" of Botkin. On 26 February 1933, Xenia's husband Sandro died. Xenia and her sons were present at his funeral on 1 March, in Roquebrune-Cap-Martin in the south of France. By March 1937, Xenia had moved from Frogmore Cottage in Windsor Great Park to Wilderness House in the grounds of Hampton Court Palace, where she continued to live until she died on 20 April 1960. Despite reduced circumstances during her lifetime, Xenia left a small estate to her remaining relatives.